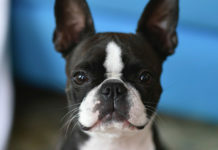 Boston Terriers are well-known and loved throughout the world. 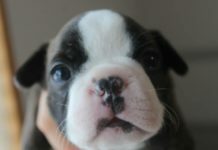 They are highly desired throughout the world for such traits as their temperament, their distinguished eyes and features, etc. 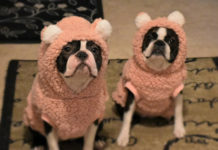 These friendly and loving animals makes their owners very happy. Originally bred for aggression in the late 1800s, they have since evolved to be great family pets. Given a healthly diet and lifestyle, their life expectancy generally ranges from 11-15 years. 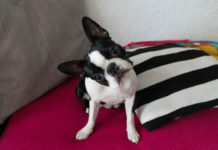 Boston Terriers are very social animals and are easily trained by their owners. 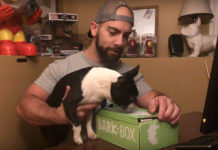 They enjoy interacting with other people and animals, and are often “owner-side dogs” in that they deeply respect their owners and enjoy interacting with everyone in their household. They especially love spending time with children and enjoy following the owner both in and outside the house. 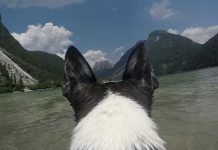 They are quieter dogs, not barking as often as other breeds. However, they’ll let you know when something is wrong or when someone is at the door of the house. 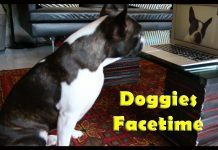 Boston Terriers are intelligent dogs and are easily trained by their masters. 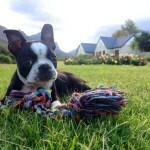 They are eagerly house-trained and can be trained as such in about six months. They love learning new things and are eager to do so. Their intelligence has earned them the nickname “American Gentlemen” by some. 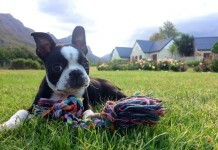 Boston Terriers are small, sturdy, energetic animals that love to interact and play. 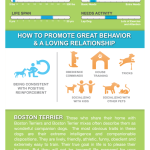 Sometimes this can change their temperament, but most people enjoy their Terriers that are like this. 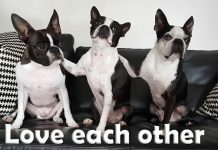 Boston Terriers do not need a large amount of care, unlike other breeds. Just make sure they remain active and interacting with others! Since they are mostly indoor animals, you will not need to bathe them or clean their coat too often. 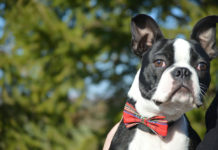 These traits make the Boston Terrier even more desirable. 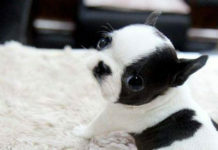 Boston Terrier coats don’t shed much, and therefore you will not need to brush them too often. 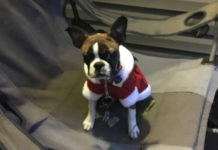 This in turns lowers grooming needs and the risk of other related health problems that can come with dog coats becoming dirty. 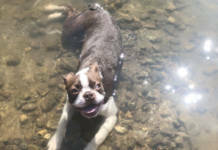 Boston Terriers are higher-energy than many other breeds. Over time, this can sometimes put them at risk for some critical health problems. To decrease the risks, follow essential care tips (which are covered in other articles). 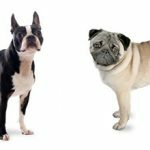 The head-shape of the breed is one of the main reasons these risks exist. The shape of the head increases the likelihood of some issues, and the protrusion of their eyes increases the odds of injury from wind, objects, etc. 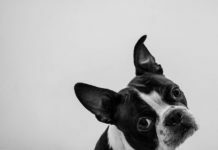 Please read our buying advice (and related guide) that we created specifically for the Boston Terrier. 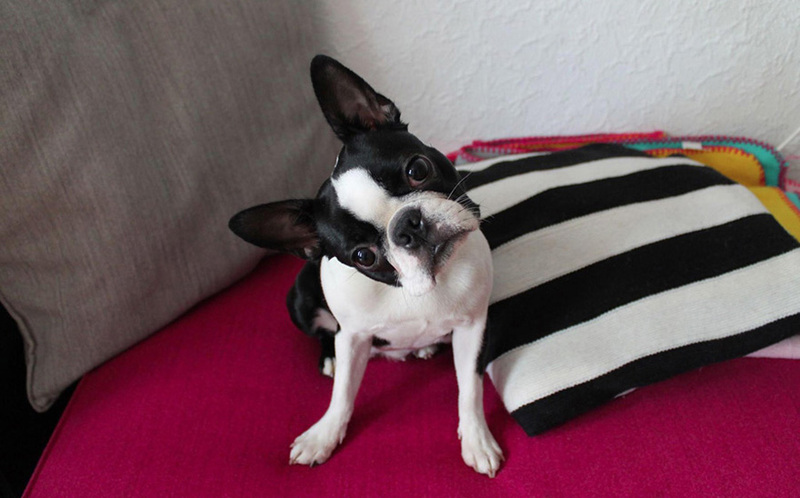 Boston Terriers can be prone to snoring, snuffling, and wheezing. Due to the flat nose of the breed, this can cause problems over time and should be taken into account when considering buying or adopting. The breed has problems digesting certain foods. These include food products with soy, grains, corn, etc. They require a diet mostly consisting of natural and raw foods so as to aid in digestion. These foods will also be key in contributing to the health of the animal. A diet outside of this will result in a large amount of flatulating, which is something to avoid. The natural diet will lower the amount of gas-related problems the animal may face. 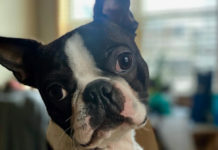 Boston Terriers tend to be one of the stubborn breeds, which can result in challenges when you go to train your Terrier. A Terrier of strong temperament will rarely do this, but this is another thing to keep in mind for your buying/adopting decisions. 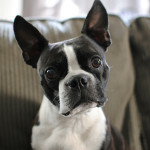 As emphasized above, Boston Terriers are extremely energetic animals. They must be trained properly to minimize any potential damage from chewing, pushing objects around, etc. 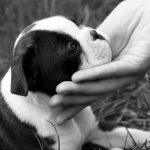 Training will also improve their temperament and overall behavior. 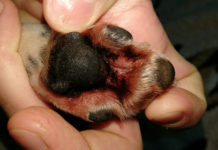 We have a large amount of information that will helpful for you in training your Terrier to these ends. 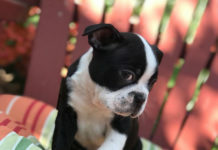 If you love Boston Terriers, you’ll find a reason to get one despite the pros the cons. They won’t massively impact your decision to own one of these adorable and sweet animals. Keep this information, however, in mind to guide your decisions. We want to know your thoughts on the article, and any questions you may have. Post your thoughts in the comments below. Please share this information with your family and friends!